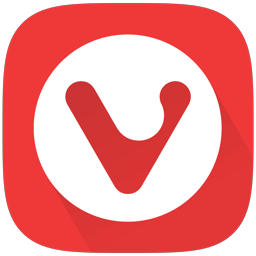 Vivaldi Browser is a freeware advanced Chromium-based web browser developed by Vivaldi Technologies. It is a company founded by the former Opera Software co-founder and CEO Jon Stephenson von Tetzchner. The browser is aimed at staunch technologists, heavy Internet users, and previous Opera web browser users disgruntled by Opera’s transition from the Presto layout engine to the Blink layout engine, which removed many popular features in the process. Vivaldi’s aim is to revive the old, popular features of Opera 12 as well as introduce new and more innovative ones. It has a minimalistic user interface with basic icons and fonts. Also, a color scheme that changes according to the background and design of the web page being visited. Vivaldi browser also allows users to customize the appearance of UI elements such as background color, overall theme, address bar, and tab positioning, and start pages. The browser also allows users to customize the appearance of UI elements such as background color, overall theme, address bar, and tab positioning, and start pages. Tab Stacks – organize your tabs using Tab Stacks (just drag a single tab to another for easy multiple grouping). Spatial Navigation – navigate spatially (you will get anywhere on the webpage just with the keyboard). Page Tiling – tile pages when you want to handily compare several pages at once in your web browser. Write Notes on the Go – take notes and add screenshots of web pages while browsing right in the Notes. Quick Commands – control everything in your browser from one place. Quick Commands lets you search through open tabs, bookmarks, history, settings and more with one single keyboard shortcut. Always in Sync – Your bookmarks, passwords, settings securely in sync. Your bookmarks, history, passwords, and settings can all be synchronized across different instances of Vivaldi browser through our encrypted Sync infrastructure. Vivaldi browser runs on Windows, macOS, and Linux.